Today's manicure features Chanel's Le Vernis Nail Colour in June, Released earlier this year with the Harmonie de Printemps 2012 Spring Collection. 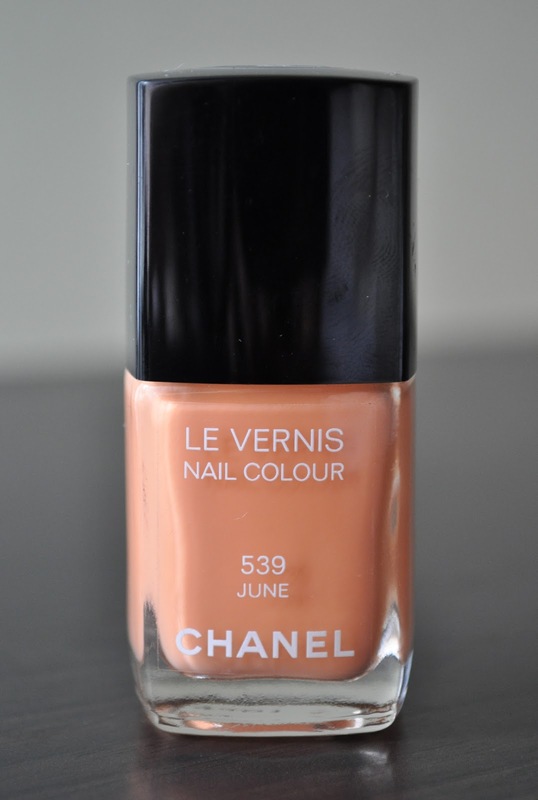 June is a creamy apricot. Regrettably, I'm going to have to say that this polish was a total miss for me. I found the formula to be thin, and difficult to work with. Also, even after three coats, the application was uneven and left bold spots. June is definitely one of those "I'll take with me to the nail salon and have the manicurist deal with the hassle of application" polishes. I really wanted to love June, since I adore the color...but with the unevenness in application and the fact that the tips of my nails look lumpy due to the numerous coats i had to apply, this polish is a total disappointment! If you purchased June, I'd love to hear what you thought about it? 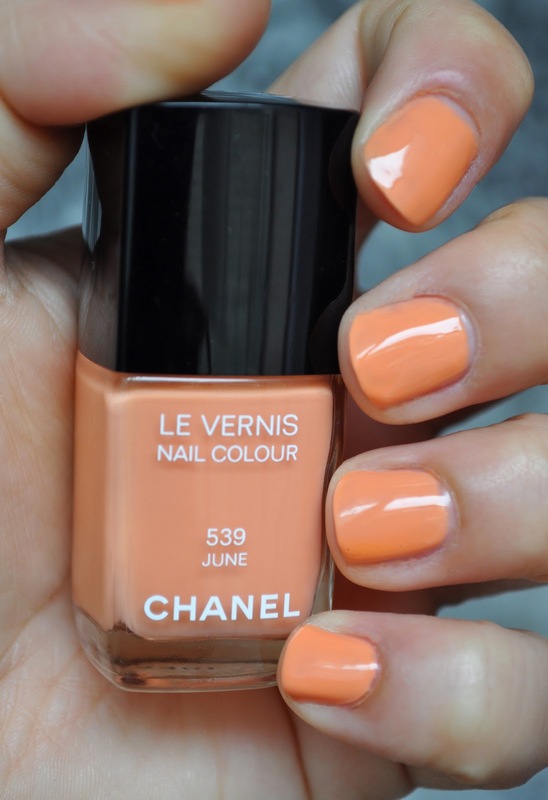 This is the prettiest orange nail polish, too bad about the formula being really tricky to work with though! I hate really thin polishes that leave bald spots even after numerous coats, it definitely ruins the enjoyment of a beautiful colour if the application is so difficult. I know what you mean about thin formulas, application can get frustrating, and your nails can start to look lumpy after sooooo many coats. Happy Unbirthday Erika!!! I wouldn't bother with this polish, it's pure water!! !